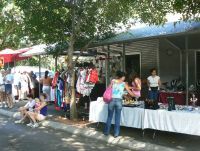 Visit any of the Darwin Markets for local art, crafts and produce. 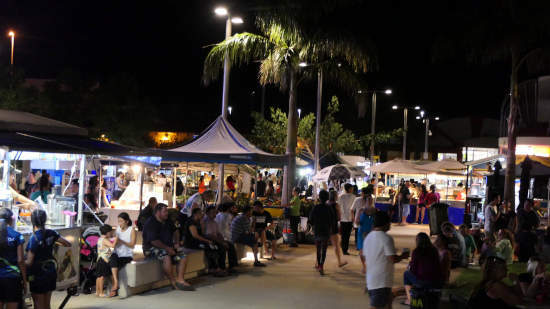 Wandering through any of the Darwin Markets is an experience of the diversity and colour of the Northern Territory's gateway to Asia. Malak Evening Markets will run every Saturday from the last Saturday in April to the last Saturday in October each year. 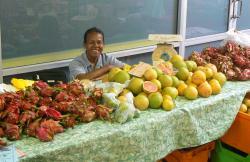 Arts and Crafts, fresh farm produce and local organic products will all be available. Enjoy a delicious meal and a chat with the neighbours while you check out these local stalls. The Mindil Beach Sunset Markets are the biggest and most popular with tourists. Located next to the Darwin Casino along Mindil Beach they operate through the dry season from late April To October. The warm dry evenings and the great variety of food stalls, street theatre and entertainment ensure an enjoyable tropical experience. 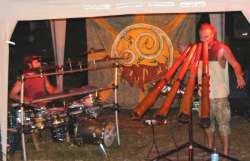 Fancy yourself as a Didgeridoo player? 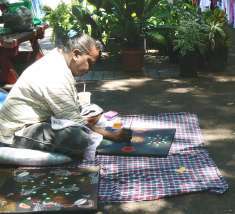 There are plenty available at the markets. 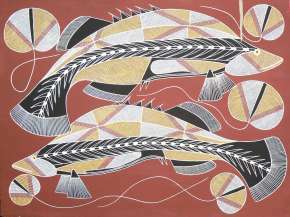 Australia's Indigenous people have an art tradition equal to anything in the world, and many find the markets a convenient venue for their work. On Sunday morning there is a choice of two popular local markets, each with it's own flavour. At Rapid Creek on Trower Road, many of the local people come for the best fresh vegetables and produce grown in the Darwin area. Lots of tropical fruits, exotic plants, palms and cacti, as well as comfortable tropical clothing is available. 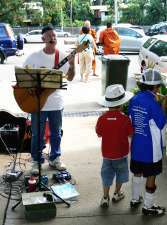 Peter Saunders takes some time off from providing music at weddings and celebrations to provide some entertainment at the Sunday markets in Rapid Creek. relaxing setting for a coffee or meal in a shaded outdoor area with local musicians providing entertainment. Alison says "Life here constantly inspires me to record my impressions in art." 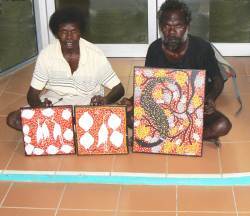 Traditional dot paintings are part of a culture thousands of years old. 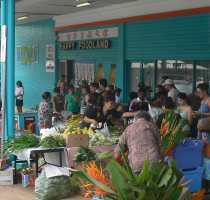 On Saturday morning it's time for the Parap Village Market to come alive with a mixture of food stalls, fruit and vegetable vendors and craft stalls. Set amongst the many small businesses in the Parap Shopping Village with plenty of local character.Three local art galleries and an art supply store also help provide plenty of interest for visitors to the Parap markets. Just 20k's from Darwin, the new town of Palmerston now has it's own Palmerston Market. Held on Friday evenings, these markets reflect the vibrancy of a growing community. Palmerston Markets on a Friday evening. Pineapple crush at a Qld market. 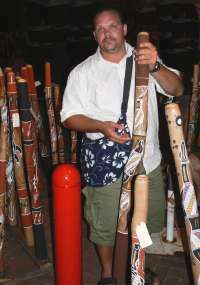 And if you are heading to North Queensland anytime, you'll love the tropical markets in Port Douglas, Cairns and other northern towns. 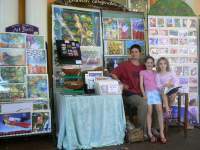 Read more about their unique artists and local crafts here.